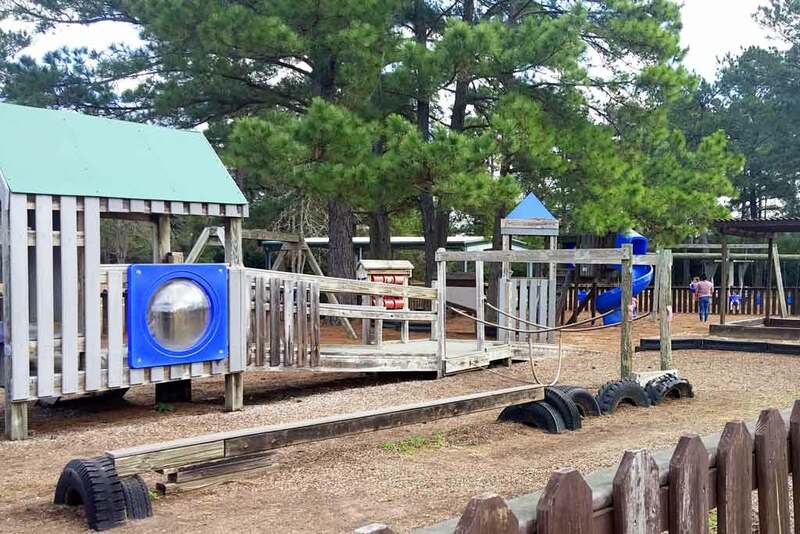 Matheson is one of our favorite�parks! 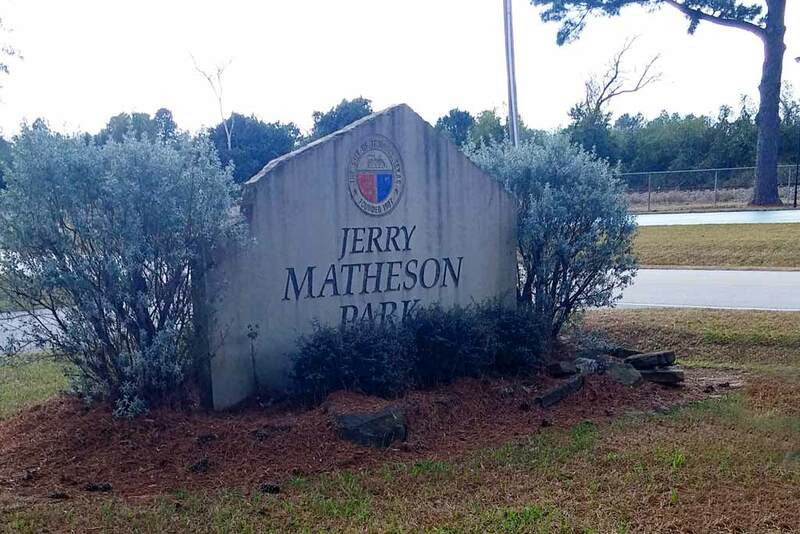 It is named for Jerry Matheson, Tomball’s longest-serving councilman. 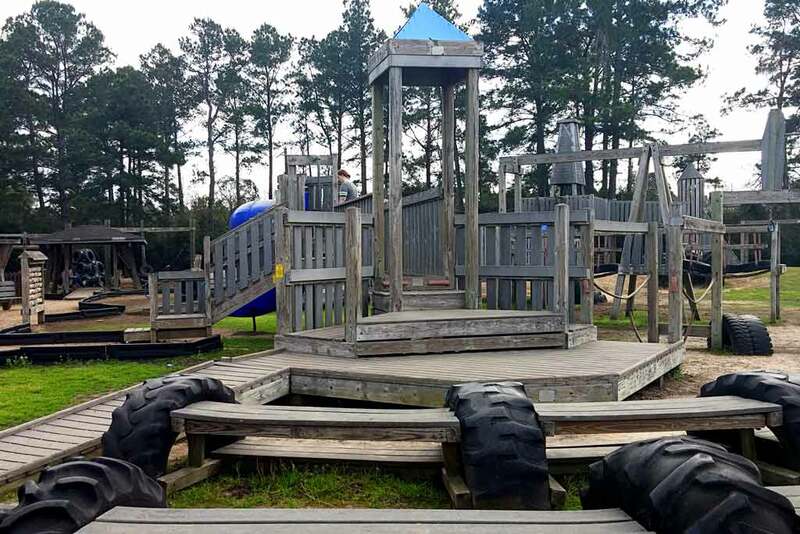 The play structures have an old school vibe since they are all built out of wood but the park is very well updated and maintained.� At first, you make think typical castle but on closer examination, you’ll see an oil derrick and drilling tower have been incorporated into the design – very Houston! 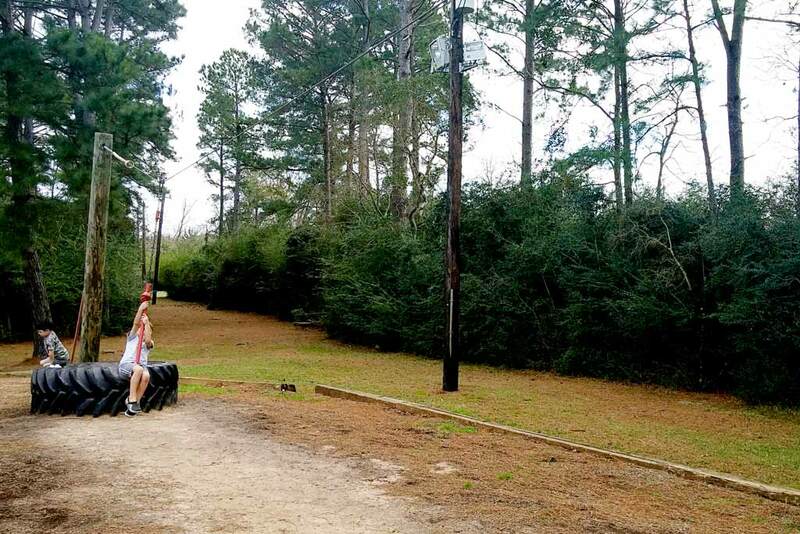 We call it the tire park because there are tires incorporated into the structure all over.� There are tire swings, tire climbing structures, event giant tires used as the launch point for the zip lines! 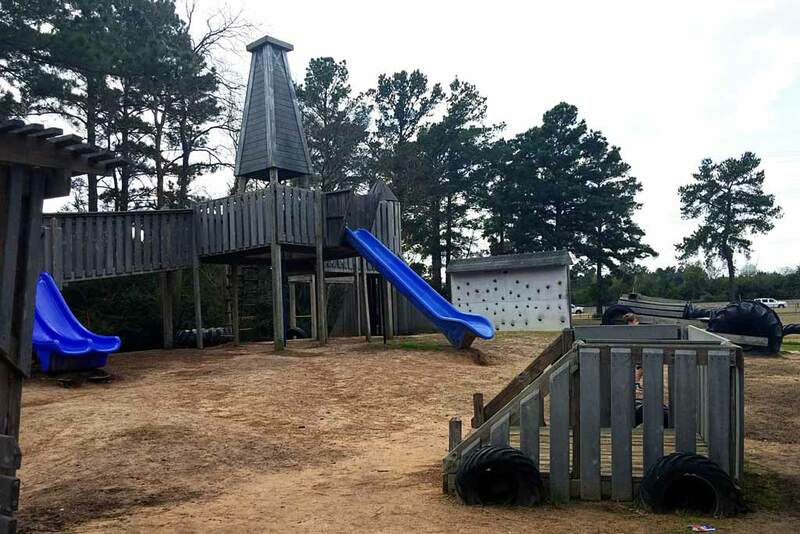 The layout of Matheson Park is also wonderful.� The larger structure is sprawling -�for endless imagination.�The section for the younger kids is fenced in.� As a mom of an “independent” child, this is a big help.� There are also swings for big kids and baby swings and, of course, tire swings! Toward the back of the park is a pavilion with picnic tables (no grills) and a large open field. There are also benches generously sprinkled throughout the play structures. 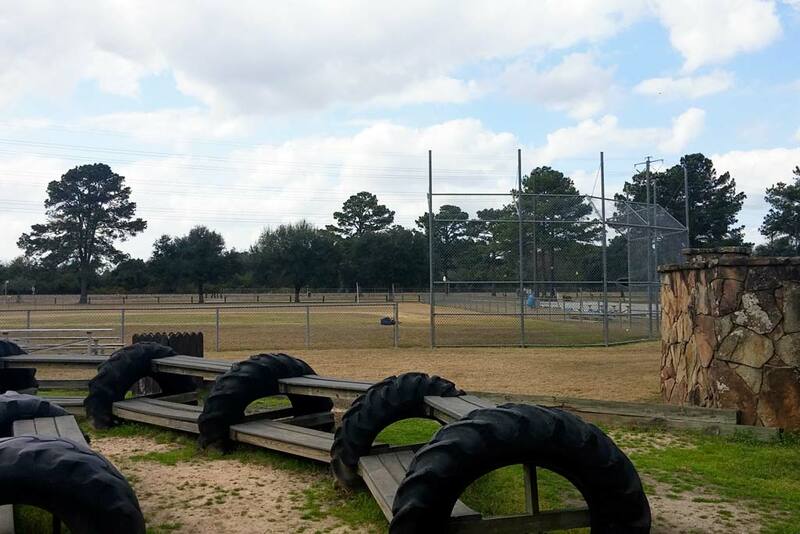 At the front of the park is a pee-wee baseball field perfect for family games.� There are even bleachers. 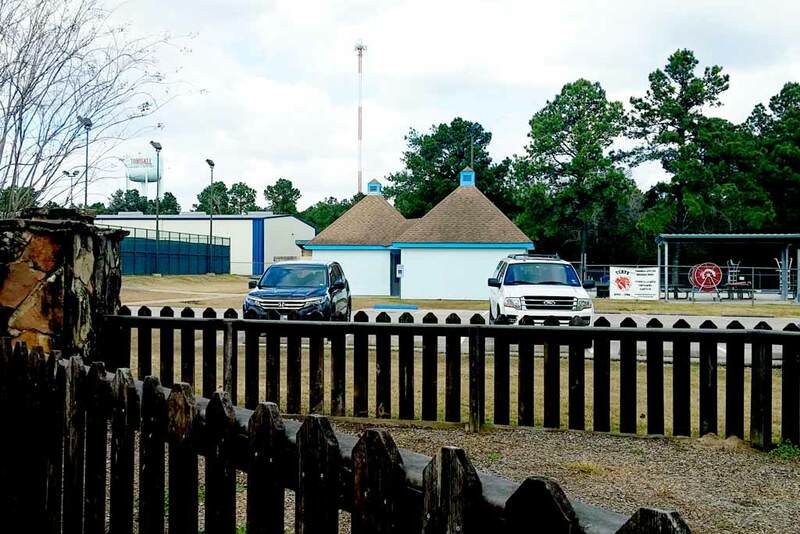 The restrooms are located near the between the pool and the tennis courts.� They have full amenities and are open even when the pool is not.� During the summer the pool (operated by the City of Tomball) is open to the public. Have you visited Matheson Park? The physical address is: 1240 Ulrich Rd.,�Tomball TX, 77375 ? Parking is easy. There is a large lot. The restrooms are across the parking lot but available. Juergens Park is almost directly across the street if you are meeting people make sure you know which park you’re headed to. Pets on leashes are allowed, but not on the play structures.